Commonly referred to as red tip photinia, especially in the south, Photinia fraseri is a large evergreen shrub used primarily as a privacy screening hedge. The new leaves emerge first with a bronze-red color and later change to medium green. Leaves are large and oval shaped. Clusters of white flowers appear in spring and summer, however plants are often sheared regularly at the expense of blooms. When allowed to grow into their natural form, plants make attractive specimen plants and features in the landscape. If shearing is limited and plants are allowed to flower, you’ll be rewarded with small red fruits that over-winter into spring. 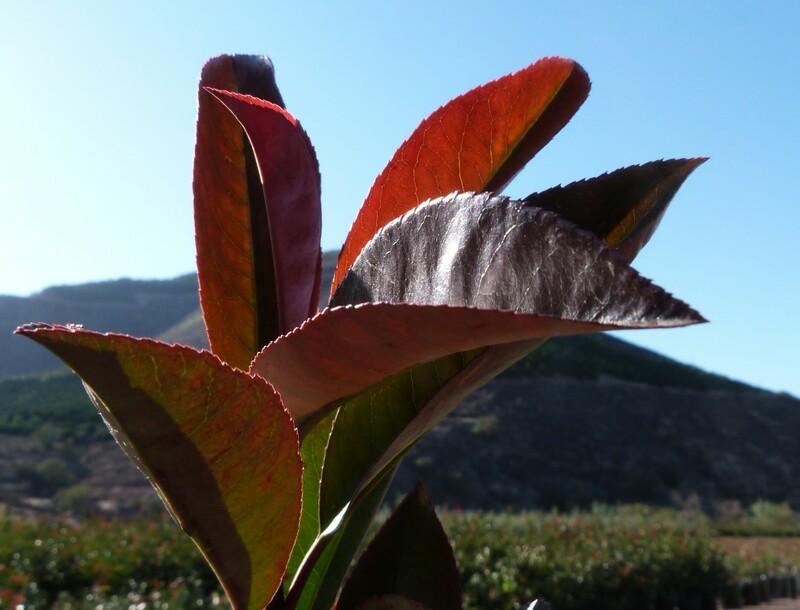 While a versatile plant, photinias also come with some challenges. They are highly susceptible to leaf spot disease (Entomosporium maculatum) in areas with high humidity. Plants are typically not affected in when planted in zone 7 or in less-humid climates. Be sure not to overcrowd plants, providing good air circulation. Plant in well-draining soils and water plants at the root zone, rather than with overhead irrigation. Photinia do not tolerate wet soils. You can plant photinia in USDA Zone 6 on the southern or western side of structures.